Under What Circumstances Can a Student Loan Be Discharged? Under What Circumstances Can a Student Loan Be Discharged? Higginbotham Bankruptcy Law Firm > Bankruptcy > Under What Circumstances Can a Student Loan Be Discharged? 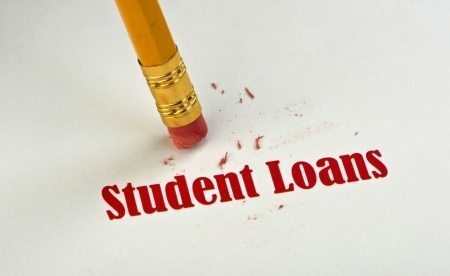 Under What Circumstances Can a Student Loan Be Discharged? Student loans are typically considered one of the few non-dischargeable debts in a bankruptcy claim. Other non-dischargeable debts include tax debt and other types of secured debt. However, there are some circumstances that will give a person the ability to have their student loans discharged anyway. This loophole is called the Brunner Test. You have honestly tried to pay back your student loan debt before filing for bankruptcy. Your student loan records must show that you made attempts to pay back your loan. However, if your loan is in default for non-payment and you never communicated with your lender, you may not pass this part of the Brunner Test. Paying your student loan would cause you to be unable to maintain a basic standard of living. You must be able to show that making payments on your student loan would cause you undue hardship. This means you wouldn’t even be able to afford basic necessities like rent, utilities, food, and clothing. Your financial situation is expected to continue. You must also show that your difficult financial situation is expected to continue beyond the period where a forbearance or a deferment would assist you. For example, perhaps you quit your job to care for a disabled family member and will be unable to work for the duration of their life. Or, perhaps you yourself became disabled and live on a fixed income that is not expected to change. At the Law Office of D.C. Higginbotham, we can examine your financial situation to determine if you pass the Brunner Test. Also, we may be able to have your student loan discharged in its entirety. If you do not pass the test, we may still be able to find ways to alleviate your financial difficulties through bankruptcy to free up funds that will allow you to pay your student loan more easily. Contact us today for a consultation to discuss your specific needs at (904) 354-6604.